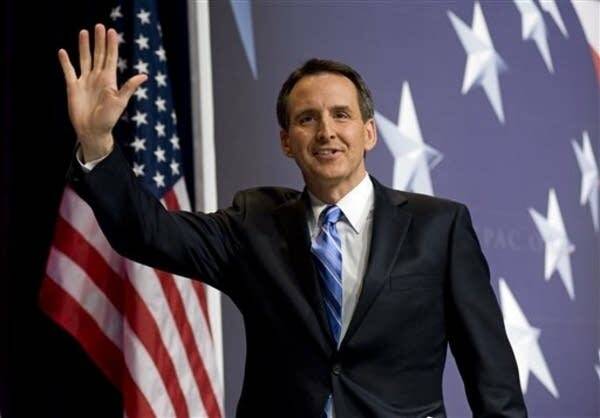 Former Minnesota Governor Tim Pawlenty has officially throw his flag into the pile of Republicans vying for the 2012 presidential nomination. In a video announcement, Pawlenty reveals his platform: Time for Truth. Pawlenty begins by attacking Obama, and is decidedly aggressive in his tactics to gain the nomination. He says that we “need a president who understands that our problems are deep and who has the courage to face them. President Obama doesn’t. I do.” Pawlenty is angling to directly challenge Obama, rather than his competition, at least in the beginning. Pawlenty then goes on to flash his True Blue credentials, mentioning his truck-driving dad and his experience living the American dream. Sigh. When are politicians going to stop trying to sell us the American Dream – which clearly is faulty given the last 3.5 years of economic turmoil? Anyhow, watch the video and judge for yourself. What do you think of Pawlenty’s chances?